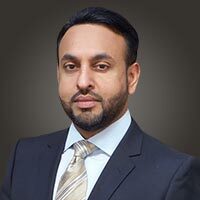 Dr. Irfan is a pain management specialist with an interest in painful conditions of the spine, including chronic lower back and neck pain. In addition, he treats a wide variety of pain syndromes including headaches, extremity pain, and pelvic pain as well as painful medical conditions such as fibromyalgia and neuropathy. 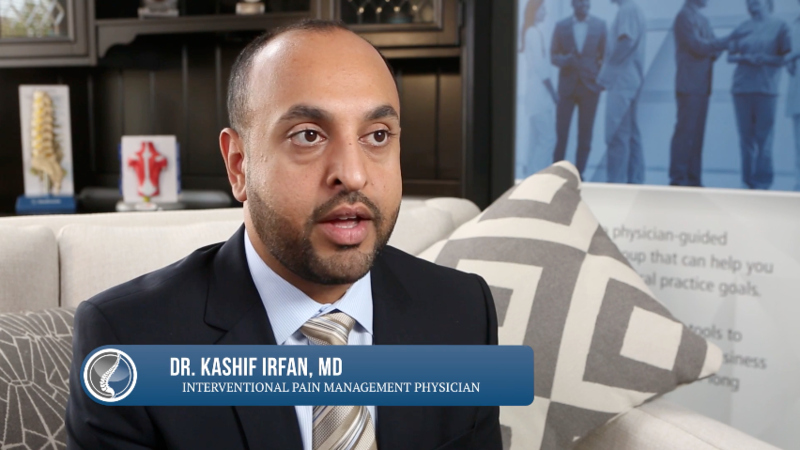 Dr Irfan believes that the best outcomes for patients with chronic pain are achieved with a multi-modal approach utilizing medications, physical therapy, spinal manipulation and advanced injection therapy, as well as counseling and psychotherapy. Having an understanding of all aspects of pain treatment allows Dr Irfan to restore functionality to his patients quickly, as well as help them achieve their highest quality of life. He is an active member of multiple local and national medical societies dedicated to the treatment of chronic pain. Dr. Irfan is fluent in English, Urdu/Hindi and is able to converse in Turkish and Arabic. Excellent patient bedside manner, answered all my questions and gave complement assessment of my health issues. The best experience I have ever had with an MD. Dr. Irfan is knowledgeable and professional. Understood my issues and Treated me with respect. He’s very efficient and very thorough!! They went above and beyond to take care of insurance problems and get me cared for. Staff and Dr. Are great! I have seen dr. irfan several times for severe back pain..it had gotten so bad I had no quality of life it was a struggle to get through each day and I really didn’t know where to turn as I had been to pain docs in the years past and was never presented with any real treatment options besides throwing pain meds down my throat until I went away..on my first visit I explained the situation and dr. irfan immediately took action with trigger point injections and immediately scheduled me for a series of more permanent injections as well as setting me up with one of the best chiropractors in the state (in my opinion) long story short my quality of life is on the rise and pain levels are the exact opposite. Dr. Irfan is one of those rare doctors that actually cares about his patients. Dr. Irfan and his staff treats anyone that’s walks into his office like family. Thanks doc for everything you have done for me I cannot put into words how grateful I am.